Travel Safe This Labor Day! Bordner will be closed on Sept. 5, 2011 in observance of Labor Day. But don’t worry, you can still fill out a contact form with us or request a free no-obligation in-home estimate over the weekend and we’ll be in touch with you as soon as we are back. As you know, our star-rated services includes everything from window and door repairs to stone and stucco siding installation. If you’ll be traveling out of the Kansas City-area this holiday weekend, we wish you safe and happy travels! And don’t forget, by contacting us sometime throughout the month of September, you can get a head start on all your siding, roofing and installation needs before the weather cools down! We Install Garage Doors, Too! Did you know that in addition to the roofing and siding service that we provide, Bordner also installs garage doors? That’s right, the same company that Kansas City-area homeowners have come to rely on for years for their remodeling projects also installs high-quality garage doors! We have a full staff of highly trained experts that will complete the installation job using Bordner’s renowned “phased approach.” The main manufacturer that we use is Delden since their high-quality steel garage doors are built locally and meet our durability standards. To learn more about our garage door installation services, contact us online or at (816) 358-2102 for a free in-home consultation and estimate. Need Siding Added to Your Newly Constructed Home? If you’re in the Kansas City area and are currently in the process of having you’re your home built and you still need siding installed, look no further than to Bordner group. We’re accustomed to working with both home and commercial builders all around the Kansas City metro area to integrate seamless siding for new construction projects. Or goal is to help ensure that your siding is installed on-time and on-budget by one of our highly trained siding teams. There’s no job too big or too small for our crews and all work is ensured daily by a an on-site foreman as well as a staff supervisor who checks each jobsite every step along the way. After each new construction siding job is completed, a 17-point inspection is performed to ensure the quality of work meets our high standards. And, as all builders know, having subcontractors who provide a quick, competent response to callback requests is crucial to customer satisfaction and long-term success. At Bordner, the goal of our highly trained and experienced service department is “Next Day Service” for all callback requests across Kansas and Missouri. 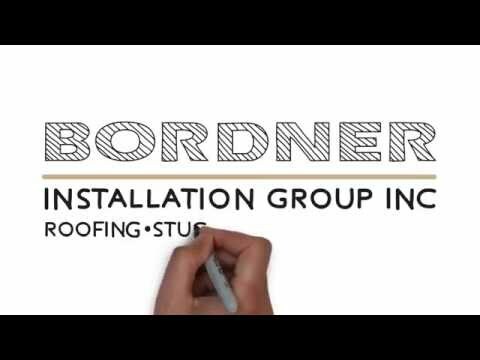 If you’d like more information on how we can help you with your new home construction or for a siding estimate, contact Bordner installation group today at (816) 358-2102. As we mentioned in our post earlier this week, there are many alternatives to wood siding if you’re looking for an option that’s low-maintenance and fiber cement siding is one of them. Today, we’d like to discuss this option in more detail and explore a few of the reasons that it’s such a great option for any home. The first of those reasons is because it is extremely durable and long-lasting. This revolutionary material can withstand a wide variety of harsh weather conditions including extreme temperatures and hurricane-force winds! Additionally, it resists wood-boring insects like termites and can deflect UV rays. The second reason is because of its vast aesthetic appeal. This awesome material comes in more than 20 colors and can also be made to resemble wood siding, stucco or masonry, making it extremely versatile if you’re trying to match it up to existing siding. It also comes in many different siding contours and styles, including typical lap siding, shakes, shingles and vertical panels. For more information on how we can help install fiber cement siding on your home, contact Bordner today! As Bordner mentioned in our post last week, we often get many questions about siding and so we wanted to take some time to answer a few of the most frequently asked ones from our readers. Last week’s post discussed things like the effects that proper siding can have on utility bills, what the energy Star Program is and the comprehensive lifespan of siding. This week, well touch on a few others to help make the process of both shopping for siding and knowing what questions to ask your contractor, just a little bit easier. Is it customary for all siding service providers to replace areas of rotted wood before installing new siding? No, not all siding installers replace the rotted wood. However, at Bordner, we replace all the rotted wood before we install your siding. The price you receive from us includes replacement of all visible wood rot. Sometimes wood rot and other siding problems are hidden and is not discovered until the old siding is removed. We always maintain open communication with our homeowners and never cover up existing wood rot. Is there a siding option available that’s more maintenance-free than wood siding? To achieve the look of wood, without the maintenance, you should consider fiber cement siding. Fiber cement siding is available in a wide variety of finishes, colors and textures, won’t rot, is impervious to wood-boring insects, and resists the aging effects of UV rays. What’s the average cost for siding repair or replacement? The best way to determine the cost of repairing or replacing your siding is to call Bordner at (816) 358-2102 or contact us online for a no-obligation analysis and estimate. When you contact us, one of Bordner’s highly trained home improvement consultants will schedule a time to inspect your siding, discuss repair and replacement options, and provide you an estimate. Remember, for all your siding installation and repair needs in the Kansas City area, contact Bordner today. Some of the most frequently asked questions that we receive here at Bordner revolve around siding and what it can and cannot do for your home. So we’ve decided to share some answers to FAQ about siding with our blog readers. This is the first installment of the series of siding FAQs and we’ll be posting a second installment soon. In the meantime, please let us know if this has been helpful or if there are questions about siding of your own that you still have. Can my utility bills decrease if I add siding to my home? Yes it will. Bordner offers vinyl siding that has an R-value of up to 5.0, which is the highest R-factor of all siding options available. Can you explain the Energy Star program and how it works? The Energy Star Program was started by the EPA and the US Department of Energy to help consumers in the recognition of energy saving products. This program also promotes the environmental and economic benefits to these siding products through the Energy Star label. At Bordner, Energy Star endorses all of our products. What’s a realistic expectation for the lifespan of siding on my home? Most people are under the impression that all siding is the same. However, fiber cement and vinyl siding perform differently than other siding types, and are available in different levels of quality and longevity. The standard rule is – “the cheaper the price, the shorter the life of the product.” At Bordner, all of our siding products come with a lifetime warranty that protects your siding against fading, as well as unique manufacturers’ warranties for each product, along with our installation warranty and satisfaction guarantee. Our siding products include the best warranties on the market. This does not, however, make them the most expensive. All of our products are priced to fit your budget. Contact Bordner today to learn more about how we can help you choose the siding that’s best for your home. Want Real-time Updates from Bordner Installation Group?! If you haven’t already subscribed to our, blog, then you need to get to it! Doing so enables you to receive real-time updates directly in your e-mail inbox on the latest blog posts from Bordner the minute they’re out! To initiate receiving our posts in your e-mail, you will need to register your e-mail address with us. You can do so by submitting your e-mail address in the subscription box on the blog’s homepage. You’ll then receive a confirmation e-mail in your inbox, which you need verify in order to activate the subscription. After you are registered, you will receive an e-mail from Google’s FeedBurner each time we post new information on our blog. From the e-mail, you can read the post in your inbox or choose to check the post out directly on the blog! Follow these easy steps and then you’re done! It’s hot out. There’s absolutely, undeniable, without a doubt no arguments there! And the heat blazing around out there can get downright uncomfortable at times. With that being said, there’s more that comes along with high temperatures than just a little discomfort and high cooling bills. There’s also the threat of fires. This is a reality all over the United States because when conditions become more arid and scorching around this time of year—as they tend to do with high temperatures and little rain—fires become easier to ignite and spread. For this reason, Bordner would like to highlight a few fire-resistant roofing and siding option available out there today from This Old House. Contact Bordner today to learn more about the roofing and siding option we have available! As record temperatures soar this summer, especially here in Missouri, it’s important to reduce energy use and costly spending where possible—otherwise cooling bills can get pretty expensive! If you’re a homeowner in the market to renovate or replace your existing roof this summer, cool metal roofing should be at the top of your list for saving money, contributing to energy waste reduction, and style selection. After all, the cooling benefits of metal are endless and so are the savings possibilities. Plus, when you consider the fact that buildings account for more than two-thirds of national electricity consumption and more than one-third of total primary energy use, making yours more efficient with a metal roof looks like more of a great idea with each passing moment. Metal Roofing reduces cooling and heating energy usage, sometimes up to 40% in certain geographical regions. You have choices between reflective, highly emissive cool metal roofs, pre-painted, granular coated, unpainted, and more. For homes in regions where the summers are more extreme, certain brands of cool metal roofing can not only deflect heat absorption in the attic, but also re-emit most solar radiation up to 90%! Contact Bordner today to learn more about the benefits of metal roofing! What’s a great way to beat the heat in the summertime? How about a cold glass of microbrewed beer? Craft beer is gaining more and more in popularity with each year, which means the exposure to these great beers is becoming larger and larger. It’s no wonder, too, because plenty of these beers are some of the most incredible tastes you will ever try. Don’t believe us? Well don’t just take our word for it; make plans to go check out the UNICO Microbrew Festival at Zona Rosa on August 14th. This awesome fest is going to feature some of the most popular microbrews in the nation, and you can come out and sample them all. National favorites like Stone Brewery, New Belgium, Shock Top, and Southern Tier will all be in attendance, serving some of the most amazing brews available anywhere in the country. Heading out to this great microbrew fest is a great way to try new beers you may have never heard of before, and you can also end up making plenty of new friends! Get a group of your closest pals and head out to Zona Rosa the weekend after next and discover the wonderful world of microbrewing!